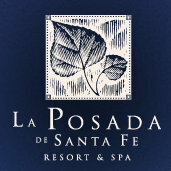 La Posada de Santa Fe Resort and Spa, located at 330 E. Palace Ave., Santa Fe, NM, serves up a very special New Year’s Eve Gala & Dance from 7 to 11:59 p.m. Monday, Dec. 31, 2012. Long time downtown Santa Fe, NM, fixture La Posada de Santa Fe Resort and Spa is ringing in 2013 with a rousing festive occasion for locals and visitors with the company’s New Years Eve Gala & Dance featuring music from the Santa Fe Concert Association with Joseph Illick conducting and the Harlem String Quartet. Everyone is invited to come celebrate the New Year in grand style with drinks, dinner and dancing. 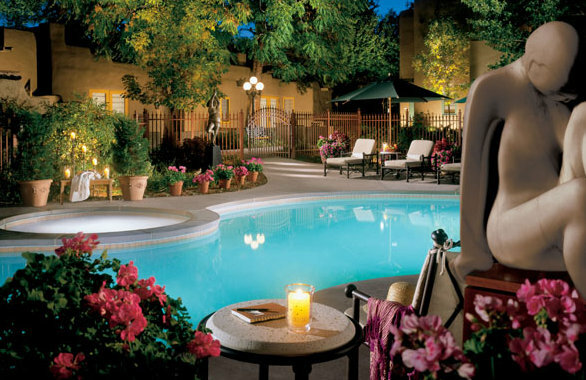 La Posada de Santa Fe Resort & Spa the Art Hotel of Santa Fe nestled on six beautifully landscaped acres in the heart of Santa Fe pampers guests in an atmosphere that is both intimate and indulgent.